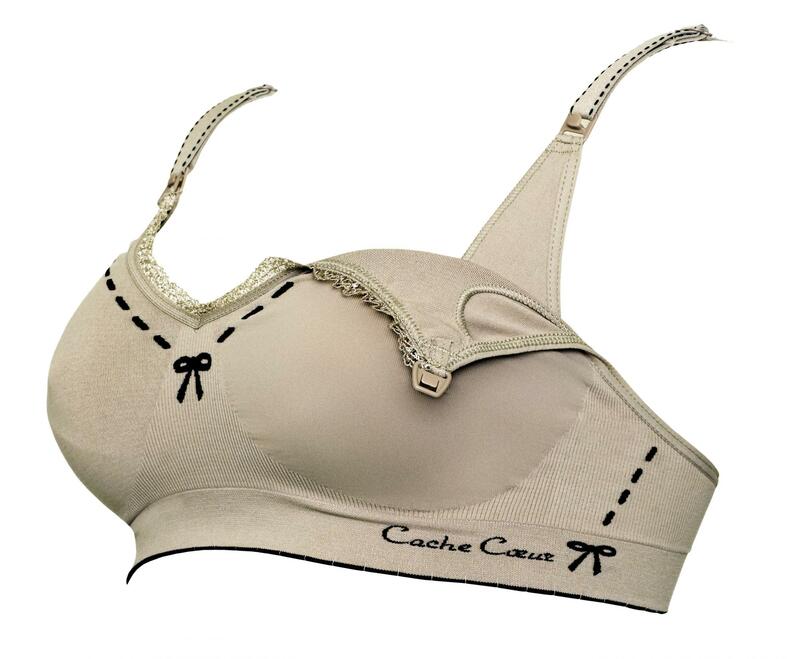 French flair in the Illusion Maternity/Nursing Bra from Cache Coeur France. Super soft microfiber fabric with a cute knitted-in stitch/bow contrast detailing and a touch of lace trim. Soft, seamless stretch nursing bra with comfortable, adjustable U-Shaped back. Fabric molded cups for smooth seamless look. Great style for maternity, labor & breastfeeding. Wear as medium support day bra & for sleeping.